First cook your millet with 2 cups of water on medium heat. When cooked and cooled mix the millet with the other ingredients in a big bowl. Then with your hands make 25 even size balls and place them in a big oven pan covered with baking paper. Drizzle a bit of olive oil on top and let them bake for 20 minutes. 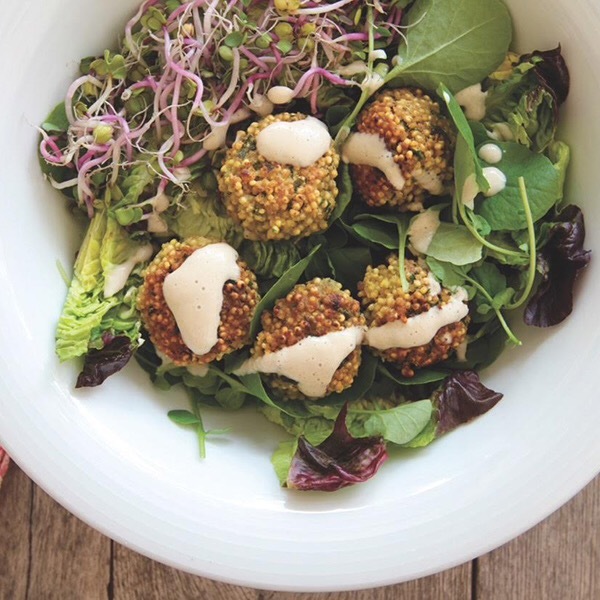 Serve with mixed green salad and tahini dressing.